At Princethorpe we pride ourselves on the range of co-curricular activities that take place outside of the classroom on offer to every pupil. These activities range from ones that challenge young minds, to more creative outlets for self expression, activities aimed at exposing pupils to new social and cultural ideas, tapping safely into new technologies or getting them physically active. In addition, we also aim to support pupils’ learning by offering regular music and theatre trips, lectures, visits to museums, art galleries and science festivals. We invite guest speakers in to school to discuss issues with pupils, as well as welcoming visiting music, theatre and dance companies to demonstrate their excellence to our pupils. The Duke of Edinburgh Award Scheme is hugely popular at Princethorpe. Each year we have more and more pupils signing up to participate in this nationally recognised Award Scheme. Almost all of our Year 9 pupils complete the Bronze Award. Overseas trips and expeditions include our regular sports tours, subject specific tours and outreach trips, including 'Camps International'. Trips are a regular feature of the academic calendar and are offered to all corners of the globe. Thinking of and serving others is a key theme at Princethorpe and manifests itself often through fund-raising for a variety of good causes close to the College community's heart, including Mary's Meals through whom we support a school in Liberia. Termly non-uniform days raise funds for charities nominated by the pupils and the annual Pink Day and Blue Day in support of Breast Cancer Care and Prostrate and Testicular Cancer are enthusiastically supported by the Sixth Form. As is the gruelling Coventry Way Walk, a sponsored 40 mile walk, which tests the hardiest of souls. Community service is a key element of our innovative Princethorpe Diploma and Youth SVP Group is our Sixth Form Community Service group, As well as visits to care homes, The Granger’s Club for people with learning difficulties and to local primary schools such as Bilton Grange and Our Lady’s in Princethorpe, members of Youth SVP help support the Christmas Shoebox appeal run by Samaritan’s Purse and organise a food collection for the Leamington Night Shelter. Any student in the Sixth Form is welcome to get involved. Every year the College adopts a charity for our House fundraising efforts, this year's charity is Juvenile Diabetes. Since 2008, Princethorpe College students and staff have raised over £70,000 for Mary’s Meals. Mary’s Meals is a Scottish-based charity that provides a daily meal in their place of education for over 1.4 million children in countries such as Malawi, Kenya, Haiti, Liberia, Ukraine, India. Yemen, Sudan and the Philippines. The principle is so simple. Provide children with a good, nourishing meal in school and those who would otherwise be on the streets looking for food or working to earn money for their family will come to school. Through education, they are taking the most important step out of a life of poverty. Working with a vast team of volunteers and countless fundraisers all over the world, Mary’s Meals manages to provide what is the most essential to children at an incredibly low cost – only £10.90 on average to feed one child for an entire year (less than £9 in Malawi). Over the years, Princethorpe have organised cake sales, pancake eating competitions, sold flowers on valentine’s day and founded an annual school welly wanging competition. The most important annual fundraising event is a sponsored 24 or 40 mile walk around the Coventry (in a single day) in March or April. The proceeds of these events currently support our funding of school meals for the 636 children at Makalanga Primary School near Blantyre, Malawi. To support this great charity go to www.marysmeals.org or to sponsor this year’s fundraising endeavours click here. Clubs and activities take place either at lunchtime or after school and each term a full extra-curricular timetable is produced to enable pupils to choose what they would like to take part in. Whether it’s drama or archery, photography or chess we cater for a wide variety of interests. The Duke of Edinburgh Award Scheme is hugely popular at Princethorpe. Each year we have more and more pupils signing up to participate in this nationally recognised Award Scheme, which aims to give all young people the chance to develop skills for work and life, fulfil their potential and have a brighter future. Experience has shown us that when pupils learn to work together as a team outside the classroom, this greatly benefits and accelerates learning inside the classroom. 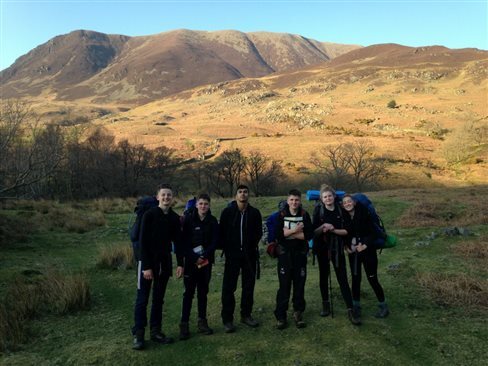 In addition to the well established Duke of Edinburgh Scheme, a wide variety of outdoor education experiences such as Cycling Club, orienteering, rock climbing and 'Camps International' overseas expeditions are offered. There is an enormous enthusiasm and creative energy poured into the arts by both staff and pupils. From art and photographic exhibitions to whole school and year group theatrical productions and from music recitals to jazz band, choral and orchestral works. Year round, Princethorpians can be found making, creating and enjoying great success. There are numerous oppportunities for pupils to express themselves during the school year from Princethorpe's equivalent to the X Factor (the famed House Talent Show) to full scale productions which have in the past included Little Shop of Horrors and Arabian Nights. Wednesday is Drama night with two clubs taking place, one for Years 7 to 9, and one for Years 10 to Sixth Form, both clubs aim to develop pupils' skills and knowledge of Drama. Sessions include games, exercises and fun workshops. A regular commitment to the groups is the most important requirement as they aim to perform to an audience twice a year! LAMDA lessons with our visiting drama teachers are very popular with pupils enjoying great success in their exams. Music specific events like the Spring Concert and School of Rock, plus College events like Prize Giving, Christmas Carol Services and Open Events provide frequent platforms for our pupils' musical talents. Those with a real interest in the Theatre can pursue our Theatre Studies A-level course, which whilst it does not train actors, does improve performance and presentation skills and self confidence. The culmination of the year for Art and Photography pupils is the Summer Art and Photography Show which celebrates their success at GCSE, AS and A-level. The show, which has been opened to a wider public in recent years through Warwickshire Open Studios, has enjoyed great acclaim for the freshness, inventiveness and ambition of our pupils. A wealth of inter-House competitions are organised throughout the year with the House Activities Co-ordinator, House Activities Leaders and Senior Prefect House Captains presiding over the organisation of these. Inter-House competition is encouraged through a range of sporting, pastoral, social, academic and arts based activities. Cup at the end of the academic year. House points may also be accumulated through good attendance, helping at school events and for academic merits and sporting achievements. at the end of the Trinity term.